"Working with a young entrepreneur being an Art Historian and Painter has given me not only a deeper knowledge of art and looking at art but has also stimulated me to have a new look at light. A lesson I have learned in the exchanges is a new way of mathematical counting: 1+1=3 :) "
Helena Loermans was born in the Netherlands but has been living for more than 30 years in Odemira, a small town located in the south of Portugal, where she owns a weaving studio and produces her own collection of hand woven textiles. Helen has been a host entrepreneur in the programme since 2012. Marta Pokojowczyk is a History of Art graduate and a painter. She works with raw materials: jute, paper, soil and pigment in powder. Marta heard about the Erasmus for Young Entrepreneurs programme from a friend and decided to participate because she found in it an opportunity to gain knowledge of how to start your own business and how to run it. The match between these two women was instantaneous- Marta was particularly interested in Portugal and Helena was one of the first host entrepreneurs in the Arts&Craft field that she came across in the programme. She immediately impressed by Helena’s work and the beautiful location of Helena's studio in Odemira. Helena, herself, was also taken by Marta’s work and she felt that this could be a successful exchange. Helena and Marta also started to work on ideas of connecting weaving and painting by weaving ones own canvas. This is how Hempweavers was started- a project which is settled between two disciplines: weaving and painting. Hempweavers creates handwoven hemp / linen canvasses with different textures and colours. Besides being a successful relationship, this exchange was a dynamic and enriching experience for both entrepreneurs. Marta learnt the basics of the craft and got familiar with 12 and 24 shafts looms. 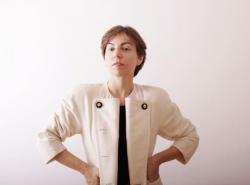 The exchange helpded her develop her own projects and also allowed her to participate in the production for Helena’s collections.On Marta’s view the wisdom shared by Helena allowed her to overcome fears and difficulties connected with the challenge of starting a new project. Helena also showed Marta that by distinguishing art and craft one creates borders that stop the flow of creativity. Most importantly, however, Helena thought Marta that there is no reason to wait until you start your company because you will never be sure if this is the right moment, when ,in fact, any moment is the right moment. Helena was happy to share her knowledge with Marta and, in return, Marta's enthusiasm and skills have been beneficial for Helena's atelier and its production. 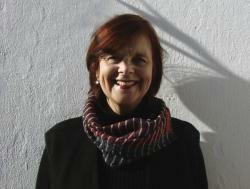 Marta’s pictures of their work also helped Helena to enrich her own website and Facebook page. Their joint project, Hempweavers, is also continuing beyond their exchange in the programme, with Hempweaver Marta Pokojowczyk in Wroclaw and Hempwever Helena Loermans in Odemira- each their own business but connected by the theme and name.